Bridgeton Memorial Park is no longer in existence. Bridgeton Memorial Park originally began as "Village à Robert Cemetery" named after the settlement of the same name. The settlement dated back to 1794, and documents filed by the Federal Aviation Admnistration declared that the cemetery dated back to the same year, 1794. Originally sized at 2 acres, it was considered the one of the oldest cemeteries in the greater St. Louis area. 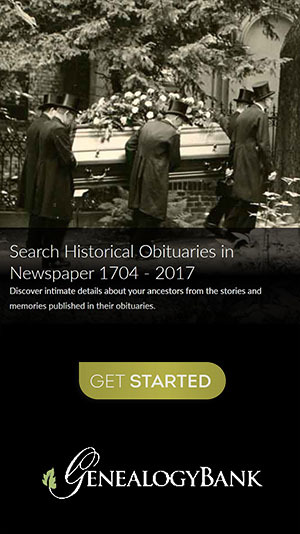 Documents created by other historians and genealogists suggest that the cemetery was established much later, in 1843, as an integrated, black and white burial ground. There are reports that many African Americans were buried here, some of which were Civil War veterans. The cemetery has also been referred to as a "pauper's cemetery", while others referred to it as being the poorer alternative to Washington Park Cemetery. The cemetery slowly went into decay after surviving family members died off or moved away. Many, if not all, tombstones were stolen, crumbled and broken, or had mysteriously disappeared. 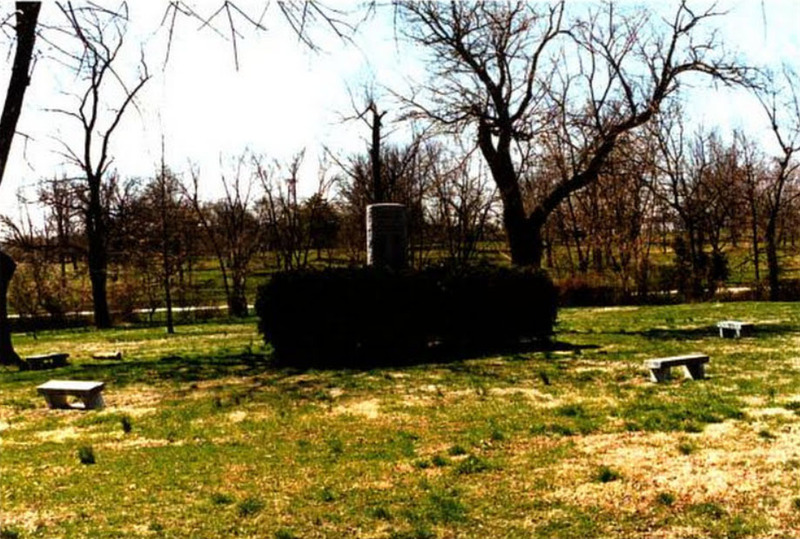 A legal decision by the Circuit Court of St. Louis County in the suit, "Inhabitants of the town of Bridgeton, et al, vs. Mildred Cobb, et al., November 1, 1963", concluded that the the City of Bridgeton was in fact legally required to provide permanent maintenance of the cemetery, and place a memorial of those buried in the cemetery. Thus, in 1969, the City of Bridgeton converted the land into a memorial park, and assigned a street address of "4616 Long Rd". It was sized at 1 acre, and was situated on the same 2 acre plot of the original Village à Robert Cemetery. They removed whatever visible structures were there, allowed the bodies to remain, and then leveled the grounds. It was estimated about 10,000 graves had been created here since its inception in 1794. The city added a memorial wall that contained the names of interred bodies, but only 100+ names were offered. They also added four granite benches. In 2001, St. Louis Airport Authority acquired the land for its own expansion. Following, the memorial wall and benches were removed. 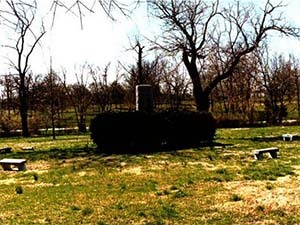 Between 2002 and 2003, the Authority distinterred the bodies and reinterred them at St. Ferdinand Cemetery in Hazelton, MO, along with the original memorial wall. During the disinterment process, only bone fragments were found. St. Ferdinand Cemetery, in turn, recorded 709 interments in section 70, and gave them each the surname, "Doe" in their records. 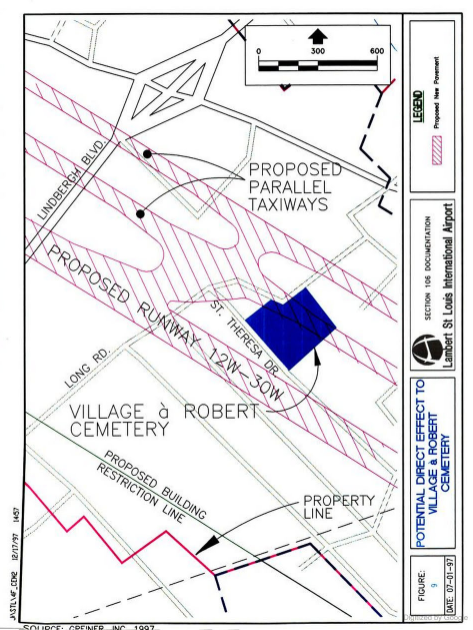 The Bridgeton Memorial Park today lies below runway W-1W, on the east side of where Long Rd had once ran. St. Mary's Catholic Church (which was also demolished for airport expansion) had been located northwest of the cemetery, perhaps no more than 200 to 300 feet. Because of the proximity of the church, some residents believed the cemetery belonged to the church, but it had not been. While persons buried at Bridgeton Memorial Park were not necessarily Catholic, the selection of St. Ferdinand Cemetery as the new reinterment location may have been chosen to maintain the same closeness to Catholic-blessed grounds.